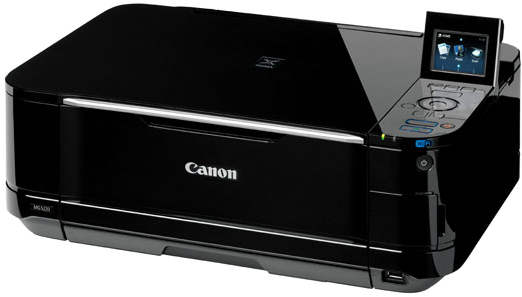 This file is a driver for Canon IJ multifunction printers. IJ Network Tool is included in this MP Drivers. This driver addes support for Windows 8.1. The PIXMA MG5220 is an advanced wireless inkjet photo all-in-one with a stylish, compact design delivering a fantastic combination of performance and convenience. Built-in Wi-Fi lets you easily print and scan wirelessly around the house plus the ability to print your photos from compatible iPhone, iPod touch and Android devices1,2. Enjoy superior 9600 x 2400 maximum color dpi3 with 1pl and a 5 individual ink tank system to print beautiful borderless photos up to 8.5" x 11" or crisp documents with incredible quality while only replacing the ink color you need. The operation of the printer's communication timer is optimized on the printer driver. The problem that an error may occur at the MP Driver installation in rare cases has been rectified.